It's not often announcements come that blow me away, but I have literally been waiting a lifetime for this. 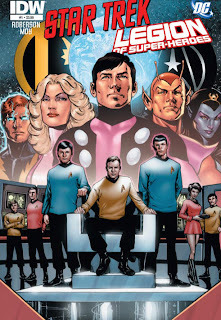 DC's Legion of Super-Heroes is about to meet the original Star-Trek crew, and Chris Roberson - the writer whose work on the equally cosmic Starborn has led my reading pile every month - is the guy who's going to be making it happen. 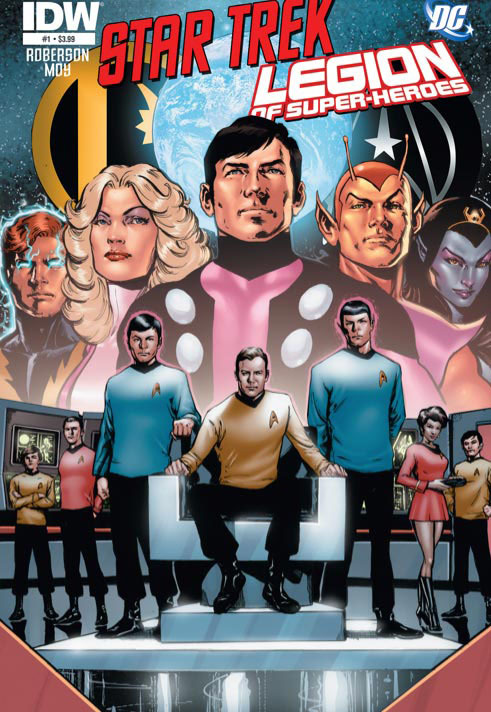 IDW's first ever team-up with DC Comics, Star Trek/Legion of Super-Heroes launches this October, and for six star-spanning issues will tell the tale of the original Enterprise team mistakenly beamed down to the wrong planet. Not ones to hog the term 'displaced' to themselves, the Trekkies run into six displaced Legionnaires of The Great Darkness vintage, trapped back in the 23rd century. Klingons, Borg, Khunds and an unexpected shared villan who ties both franchises together amid an empire focussed on conquest will be rendered by the art team of Jeffery and Phillip Moy. Cover duty falls to the always-astonishing Phil Jimenez, with a variant for each issue by the likes of Legionaries for life; Keith Giffen, Mike Grell, and Steve Lightle, as well as Gabriel Rodriguez of IDW's smash hit Locke & Key. 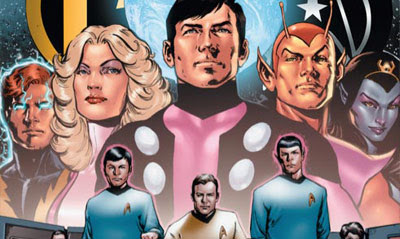 With the cover released showcasing Lightning Lad, Saturn Girl, Cosmic Boy, Chameleon Boy, and Shadow Lass, I ask you - who do you want the 6th Legionnaire to be?